The Dutch government on Monday appealed against a landmark 2015 court ruling which ordered it to slash greenhouse gases by a quarter by 2020. "The current government is already extraordinarily active in terms of climate," lawyer Bert-Jan Houtzagers told the Hague Appeals Court. The Dutch government's appeal of the 2015 court ruling, questions in particular the "extent of judges' control over the future policies of the state". Activists said Monday the Dutch state "must do more" to reduce greenhouse gas levels. "It is its duty to protect its citizens," Urgenda's lawyer Koos van den Berg told the judges. 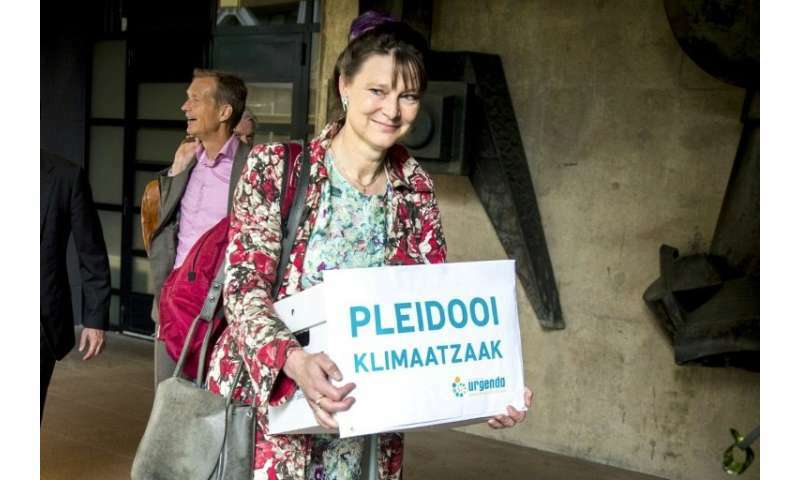 "Global warming is a fact, not a fable," Van den Berg added, saying there were major risks for citizens if the Netherlands does not start preserving the climate at "top speed". A ruling in the case is expected in the coming months. The Dutch government this month said it intended to close two of its oldest coal-fire plants by 2025. Three remaining coal plants will have to close by 2030, with the Netherlands being committed to reduce its carbon dioxide emissions by 49 percent by then.